They say that time is the best healer and life is the best teacher. Couldn't be more right. I believe the journey of life is a long learning process and you get to learn something or the other every day from a friend or from a stranger. I cannot point out one single instance that has taught me something. A lot of learnings have been put together to form the person that I am today. I've always believed in one thing. If it doesn't succeed, it doesn't mean that its a loss. Its a lesson. A compilation of these lessons is what forms your life. How long you want to stay on a page, is an individual choice altogether. Below are a few instances that taught me the most important chapters of life. ~ When you are young, you always crib about the meager pocket money you receive. Like any normal kid I did too. I was from a middle class family and I always hated the fact that my parents hardly had any money to spare. I always wondered as to why my parents earned so less. Mocking relatives and friends only added to the angst. But when I earned my first income at the age of 17, I knew how hard it was to make money. I had to host an event in a mall for an entire day talking my guts out non-stop to least interested strangers for a measly 400 bucks a day. I felt it to be humiliating, but I needed the money. When I stepped out I saw a cobbler sitting in the footpath and mending dirty, wet shoes of random people. I saw a man hurl a coin at him. At that time, the 400 rupees in my hand felt like a million bucks. And I understood the pain my parents went through to make the money they made. It is very hard to make money I learnt. But if you are lucky, you will be blessed with a decent medium to make it. Best ever lesson I've learnt till date. ~ As I started making a regular income I grew confident and independent. As I grew older I failed to acknowledge the fact that my parents were also growing older. I was so lost in my work and my personal life that I hardly had any time for them. But when I was on the verge of being diagnosed with dengue, my parents took a week off from their work just to take care of me. They don't work in big multinational companies so a day off meant a salary cut. That was hardly on their mind. They selflessly cared for me and that was when life threw its biggest lesson at me. No matter what, you should never forget the core of your existence. I was here because of them. They could have chosen to flush me down the drain the minute I was conceived, but they didn't. They gave me life and I shall spend the rest of my life taking care of them. And for this I would give up on anything. Or anyone. ~ Then I fell in love and lost myself to it. Everything for me then revolved around this emotion and the person associated with it. When it went kaput after 4 years, I couldn't regain myself. I fell into depression and lost track of my life. I took a sabbatical from work just to brood over it. One day when I saw myself in the mirror with droopy eyes , damaged skin and disheveled hair I went to my cupboard and brought out my old photo albums. In those pictures I was laughing and there was true love in my eyes. For life. I did not recognize the person in the mirror any more. I was a stranger to myself. That was when I realized that love is a part of life and I probably was more in love with the idea of love rather than the person. The next day, I was out of depression and back to leading a normal life. I have fallen in love many times after that but have always held on to myself. Never lose yourself to anything or anyone. A brilliant lesson that life taught me. ~ I have always lived life in black or white. Honesty has been the key to my life's lock. But as I learnt recently, people don't appreciate or accept the truth. I fell in love with a man of different caste, accepted it wholeheartedly and declared it from the roof tops. And then, I married him. Whatever I did, I did it in the open. Unlike people who did it back doors and declared obvious love marriages as arranged. I was open about it as I did not feel anything about it was wrong. But not everyone thinks the same. A lot was spoken about us. And then I learnt the recently edited quote. 'Honesty is not the best policy. Carefully edited and modified reality is'. But it didn't bother me. I chose to stick on to what I believed. My mom-in-law then told me, no matter what you do people will always talk. You might as well as do what you want. Perfect, isn't it? ~ I've stayed with the same company since 5 years and I make a decent amount of money. But my friends who have jumped jobs make twice of what I'm making now. It bothered me a lot initially. But when I had a get together with all of them, it vanished. All they did was complain about their work. The timings, their boss, the distance, the client and what not. I had nothing to say. They all looked at me and I said, "I'm sorry. But I actually love my job". I'd rather stay in a place I love than do something I hate for more money. That day I learnt, never to compare myself with anyone. If you are happy, stay happy. Don't look at others and wish for their lives. ~ When I was dealing with an on-off relationship a friend of mine offered some advice. I blatantly refused to take it and instead abused him for speaking about something he has no idea about. Turns out, he was fighting a similar battle along with ailing parents and a career not going anywhere. I slapped myself for it. No kidding. 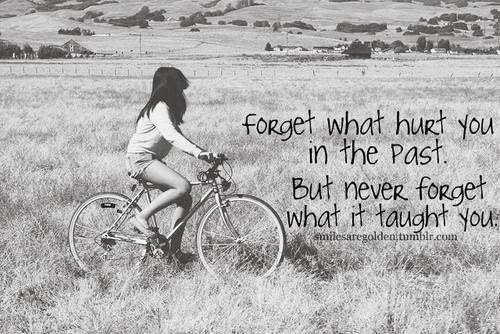 That's when I learnt to never be rude to anyone. As everyone is fighting a battle with themselves. ~ If you are frustrated, vent it out. Like I said before, talk it to someone or write it somewhere. But never bottle up emotions. I did for the longest time possible, but when it came out it was not a very pleasing sight. It was the truth alright, but go back to the fourth point I've mentioned. People can't accept it. So instead of bottling up anger, frustration and emotions, let it free within yourself. Vent, vent and vent some more. Else, it will kill you from within and it shall make you a social pariah. 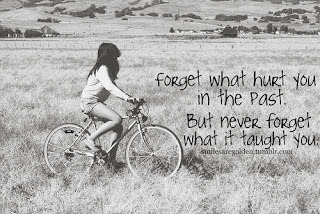 These are a few lessons that life taught me. I saw and I learnt. And made them major mile stones in my life. Like I always say, 'There are no regrets in life. Only lessons'. I am sharing what 'I Saw and I Learnt' at BlogAdda.com in association with DoRight.in. Hi Soumya..This is really an eye opening article for me.I admire your honesty and the strength that you have within you.. I can relate on so many levels to this. 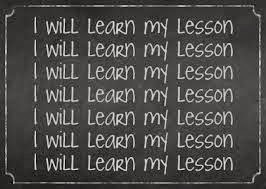 So many priceless lessons? A treat for my learning heart ! Thanks a lot Soumya, for such an educating post. How much I agree with each and every point of yours. Superb post.!! Seriously! It took me 3 years to realize it though. But atleast I did! A lot of people still dwell in that feeling. Its really sad. Comparison is a slow killer. People need to understand that. But sigh, society never lets you do it. what does not kill you make you strong ! But during the process of going through "what",certainly one can get sick !! Hahaha true! Thanks for visiting! Perfectly said! for sure.. one must have gone through at least one of the instances you mentioned here. We humans always compare ourselves to others and get more attracted to the bad than good. I still regret that i have jumped companies just for the sake of money. 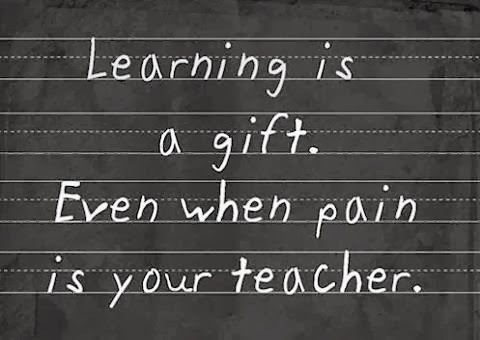 and yeah there is no end for learning. What a post, loved it completely! Wow Soumya! You taught such great lessons with so much ease. It really was one inspiring post, something to never let go off my mind.